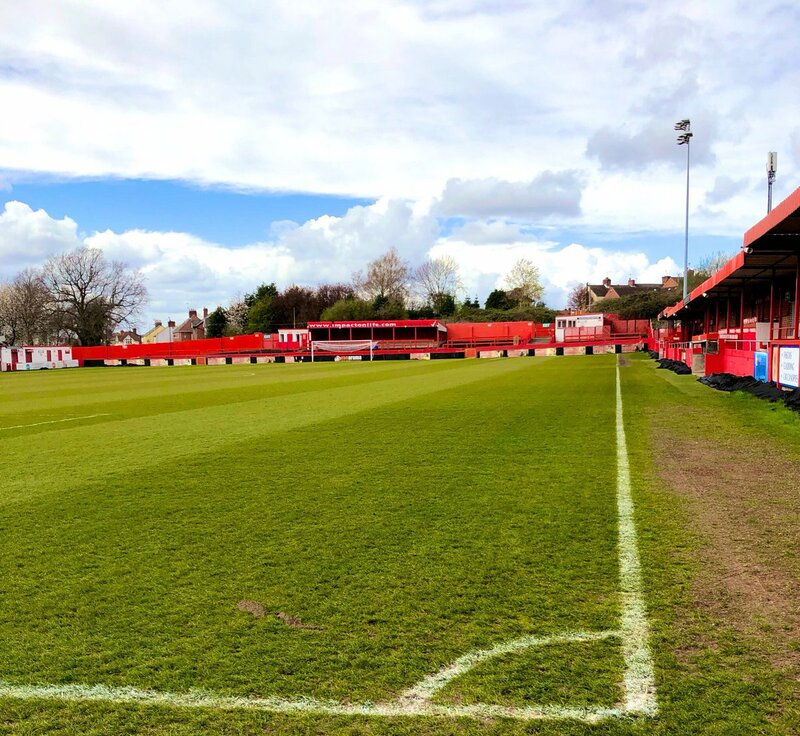 Alfreton Town look for a seventh league game unbeaten as we welcome sixth placed Altrincham as two of the form teams in the NLN collide, kick off at the Impact Arena tomorrow afternoon is 3pm. After another excellent result on the road at another play-off sitting side in Bradford (Park Avenue) it's a welcome return home after recent away trips. The Reds would have felt they should have taken six points from the last two games with big chances not converted both at Spennymoor and Bradford. The first half at Avenue last weekend was a tight one with the hosts dominating the ball throughout the first portion of the half but once again it was the Reds who created the better chances with Dec Bacon going clean through only to see his effort saved, Josh Clackstone headed over the bar on the stretch from a few yards out at the back post before Jordan Sinnott and Luke Shiels all had efforts just wide. Reece Styche would open the scoring with a outstanding over-head kick from a long throw into the box, we then had two penalty shouts turned away before late pressure brought reward for the hosts as a late half volley from Havern rescued a point for the hosts. It was another fixture for the Reds where we were left disappointed at not coming away from a top seven side with three points, Alfreton will look to be far more clinical tomorrow afternoon to put chances away against one of the league's in form teams. Confidence will still be high with our current unbeaten run and despite not taking the three points in the last two games, the last two draws at two very difficult places to go will still leave the Reds itching to continue the form. We head into tomorrow's game looking for a seventh league game unbeaten with our last two fixtures ending in draws. The Reds will also be looking for a third league win in a row at the Impact Arena after our last two home outings saw a 2-1 win over Chorley and a 2-0 win over Ashton. Alfreton are currently fifth in the form table over the last five games with 11 points obtained. Visitors Altrincham are sixth in the league table with 59 points from 35 games. Their current playing record stands at: P35, W17, D8, L10. The Robins are top of the form table in the National League North and have won four of their last five league games. Their last outing came last weekend with a 2-1 home win over Kidderminster which was their second win on the bounce. Alty arrive to the Impact having won their last three away games in the league (York, Curzon and FC United). James Clifton remains a long term absentee due to recent surgery for his injury. Altrincham 3-1 Alfreton Town (Saturday 13th October 2018) - Three first half goals from Owen Dale, Max Harrop and Jordan Hulme condemned the Reds to a fourth league defeat in a row back in October as a nightmare first half proved decisive. Richard Peniket scored a consolation with a strong indivdual effort mid-way through the second half.